technology team to improve the product. • Helped set up server to server tracking for each CPI campaign, enabling clients to monitor the progress of their campaigns. send and strategically optimized the email program through A/B testing and list targeting to increase conversion rates. • Acquired mobile inventory by prospecting potential Android and iOS developers to use the Pontiflex Mobile SDK. • Translated the Pontiflex Mobile SDK from English into German. for various charitable organizations worldwide through the organization. 2008 US Chess Champion. The book has sold over 3,500 copies to date. • Created an interactive version of Chess! 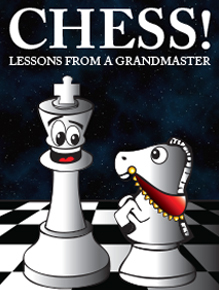 Lessons from a Grandmaster for the iPad. • Analyzed user engagement data and worked with the CTO to improve the product. models were used by a senior analyst to write bond hold recommendations.